John D’Arcy (1785 – 1839). 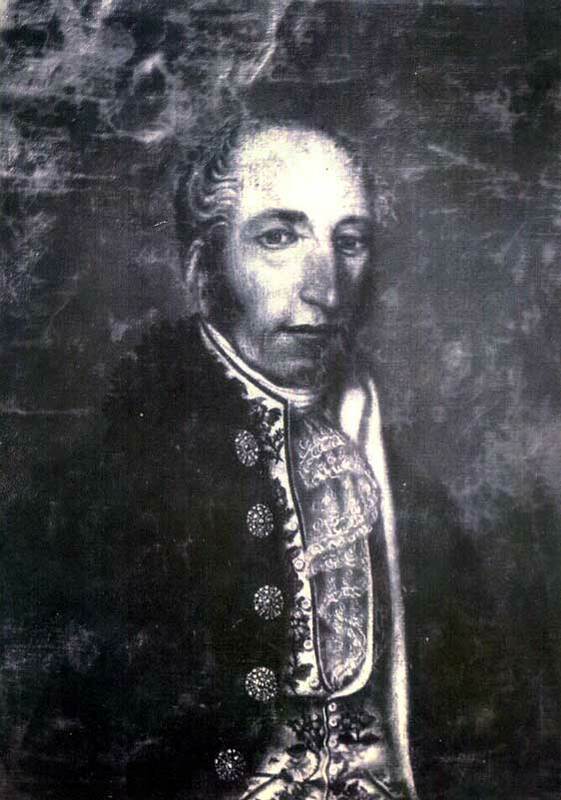 John D’Arcy founded Clifden in 1812. At the time, he was just twenty-six years of age, married and the father of three sons. He was also the proprietor of an estate that covered over 17,000 acres on the west coast of Connemara. The lands had been in the D’Arcy family for over 150 years, but they would be lost within a generation. The D’Arcys were a Galway family, one of the fourteen powerful families known as The Tribes of Galway. The family seat was at Kiltullagh, near Athenry, but John was very much a Connemara man; his mother was a Lynch from Barna and his grandmother, also named Lynch, was from Drimcong in Moycullen. Ever since inheriting the family estates in 1804, it was John’s ambition to establish a town on his Connemara lands. There were, however, many disadvantages to overcome and it would be years before the town would begin to take shape. Although slow to start, the town developed rapidly in the 1820s. The census figures for 1821 show the town as having 46 houses and a population of 290. By 1831, the population had jumped to 1,257 and there were 196 houses. Schools and churches dominated the skyline to the north of the town, while industrial buildings occupied the south; there was a brewery, distillery and mill on the banks of the Owenglin River River, next to the waterfall. John D’Arcy died in 1839. At the time of his death, John’s ambition had been achieved. Clifden was then the headquarters for the coastguard and police force for the district. It had a bridewell and before long there would be a courthouse and workhouse. The town was thriving and the economic benefits to the region were becoming clear as more land in the neighbourhood was brought under cultivation and agricultural production increased to supply the growing market. Throughout the years of the Great Famine, Clifden became the centre for administering relief in Connemara. The town witnessed many painful scenes during this time, as the streets filled with starving people desperately seeking work, food or charity, and when these were exhausted, access to the workhouse. Many houses in the town became tenements to house those who had abandoned their holdings so as to become eligible for relief, creating a breeding ground for cholera that reached epidemic proportion in 1849. When one takes in to account the inmates of the workhouse and the jail, Clifden was the only townland in the parish to show a sizable increase in population in the 1851 census. The Famine affected all classes and ultimately caused the ruin of the D’Arcy family. Hyacinth D’Arcy, John’s son and heir, was forced to sell the town, along with the rest of the D’Arcy estates, in the 1850s. Thomas and Charles Eyre of Bath, England, eventually purchased the Clifden estate for £21,245. Representatives of the new landlords would live on at Clifden Castle until the close of the 19th century. It took years to recover from the Great Famine and there was periodic crop failure and times of hardship in the years that followed. However, the opening of the Galway to Clifden railway line in 1895 did much to improve the economy of the town and helped to establish Connemara as a tourist destination. The opening of the Marconi Wireless station at Derrygimla in October 1907, and the arrival of the first transatlantic flight there on 15 June 1919, brought fame in the early years of the 20th century. The years immediately afterwards, however, saw war and destruction visited on the streets. On St Patrick’s Day 1921, during the War of Independence, the Black and Tans burned fourteen houses and shot two civilians, one of them fatally, in retaliation for the shooting dead of two policemen by members of the IRA some hours earlier. In the Civil War there was a ten-hour battle fought in the streets between the opposing sides. Recent years have, thankfully, been more peaceful. Since the foundation of the Irish Republic, the town has focused on developing a sound economy for the local population, relying heavily on the thousands of tourists who continue to visit each year. With its beautiful landscape, plentiful activities and fascinating history it is no wonder that visitors fall in love with the capital of Connemara. In the past 200 years, the people of Clifden have displayed a resilience equal to that of the town’s founder. Now in 2012 they can celebrate the rich and authentic heritage of their town with justified pride and confidence.